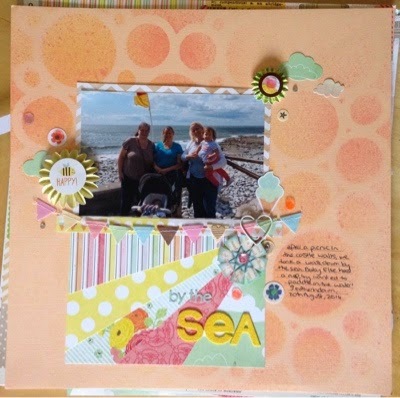 This layout is a scraplift of one I had seen on Pinterest but for the life of me can't find now! When I saw the leftovers from the sunbeam on the layout I thought they'd made a pretty cool but quick card, so here it is. 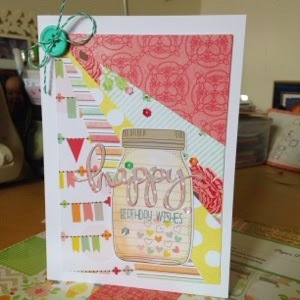 The papers I've used are some older Dear Lizzy Neopolitan, and then an assortment of things and Mr Huey mists on the layout, and my favourite WPlus9 stamps and Mama Elephant "happy" die in the card. 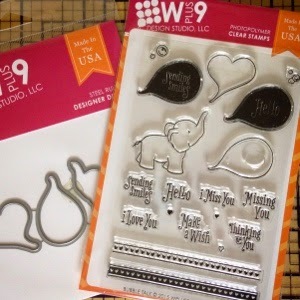 Today was a happy mail day, I received my awesome cute WPlus9 bubble talk elephants from Make The Day Special, can't wait to play with these!